A lined cotton bag, made of African wax print and beads. JOTO is a social business. We are driven by empowerment and community development. 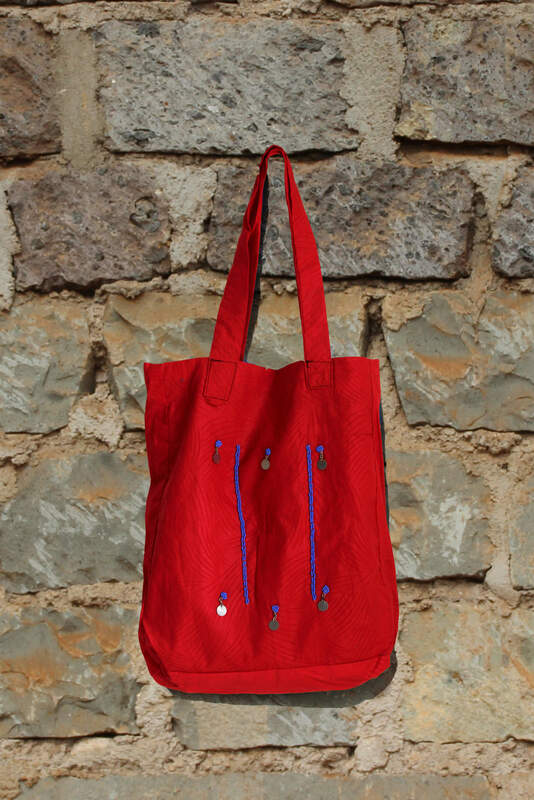 In Kibiko, a village close to Nairobi, a local JOTO team of 23 Masai women are manufacturing handmade bags and jewellery. With a fair wage and by investing the profit of each product sold, we are striving for sustainable impact. GET JOTO! JOTO is an ANBI (Algemeen Nut Beogende Instelling) appointed by the tax authorities. Would you like to stay informed about our projects?